In a surprising announcement, Hyundai and Kia are adjusting fuel economy ratings for approximately 900,000, 2011-13 model year vehicles and will reimburse owners for additional fuel costs. If you own a 2011-13 model year Hyundai or Kia vehicle sold through October 31, 2012, you will be receiving a refund from the South Korean automaker. It was announced today that both companies will need to adjust fuel economy ratings for approximately 900,000 vehicles, which represents 35 percent of vehicles sold through October, 2013. The companies are voluntarily adjusting the numbers after discussions with the EPA revealed procedural errors occurred during the testing process in Korea. And for the inconvenience it has caused customers, Hyundai and Kia will add an extra 15 percent to the reimbursement amount. As long as customers own their current effected vehicle, they will be able to “refresh” their debit card. Prior owners of the mislabeled vehicles, who have already sold their cars, will also be reimbursed using the same formula. The list of Hyundai vehicles that are effected include the 2011 Elantra and Sonata HEV. 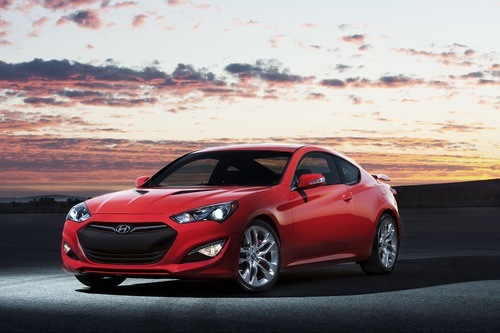 2012 Models include the Accent, Azera, Elantra, Genesis, Sonata HEV, Tucson 2WD, Tucson 4WD, and Veloster. 2013 Hyundai models include the Accent, Azera, Elantra, Elantra Coupe, Elantra GT, Genesis, Santa Fe Sport 2WD and 4WD, Tucson 2WD and 4WD, and Veloster. Affected 2011 Kia vehicles will only include the Optima HEV. 2012 models will include the Rio, Sonata 4WD, Soul, Soul ECO, and Sportage 2WD and 4WD. 2013 models will include the Rio, Sorento 2WD and 4WD, Soul, Soul ECO, and Sportage 2WD and 4WD. Affected vehicles that are currently in Hyundai and Kia showrooms will be relabeled immediately. Fuel economy ratings for the 2012 Hyundai/Kia fleet fuel economy level is reduced by an average of 3 percent – from 27 to 26 MPG. We shall see how this affects buyer confidence in the South Korean automaker. It’s a good move on their part to act quickly and take care of their customers.